Mosque and tomb of Sufi shaykh Ahmed Al-Badawi, 13th c. CE, Tanta, Egypt -- Photograph 2010 By Faris Knight, Via Wikimedia Commons. The extreme Islamist "Nour Party" ["Party of the Light"], with 25% of the ballots, produced the biggest surprise of the first round of Egypt's parliamentary voting at the end of November. Its advance overshadowed, in media attention, the widely-anticipated 40% received by the Muslim Brotherhood. The Nour Party had formed a coalition, the "Democratic Alliance for Egypt," with the Brotherhood but withdrew from it in September. The Brotherhood and the Nour Party are now in bitter competition. Commentaries, although reflecting shock in the Arab and international media on the Nour Party's rise, were predictable. The media have accommodated the Nour Party by referring to it under the party's preferred ideological banner as "Salafis," or by describing its supporters as "religious conservatives." The truth is different. The Nour Party embodies Wahhabism, the fanatical interpretation of Islam that is the sole official religious doctrine in the Kingdom of Saudi Arabia. The media have tiptoed around the authentic character of the Nour Party, with leading sources noting only that the Nour Party's program is derived from or influenced by Saudi Wahhabism. But the Nour Party reproduces Wahhabism – the ideology that inspired Osama Bin Laden – in its entirety. The term "Salafi" refers to a Muslim who emulates the first three generations of Muhammad's companions and successors. Traditional Muslims and conscientious historians recognize the falsity of the Wahhabis masquerading as "Salafis." For moderate Muslims, comparing oneself to the pioneering figures in Islamic history is offensively arrogant. In addition, a "Salafi" reform movement existed in the 19th century, but unlike the Wahhabi "Salafis," the 19th century "Salafis," such as Muhammad Abduh (1849-1905), an Egyptian scholar and writer, were not violent and did not preach against the West. The 19th century "Salafis" sought to modernize Islam and adapt it to Western modes of thought. They also condemned spiritual Sufism, as do today's Wahhabi "Salafis." But unlike the recent Wahhabi "Salafis," the 19th century group did not demand the right to expel Muslims from the global Islamic community over doctrinal differences, and then kill them as "apostates" – as the Wahhabi "Salafis" have been doing in Saudi Arabia, Algeria, Egypt, and Iraq, among other countries. The 19th century "Salafi" reformers appealed to Muslims to imitate the personal integrity and dedication of the early Muslims, but did not seek to reinforce abuse of women, hatred of non-Muslims, or limitations on free thought. They, in fact, prized freedom of inquiry as an Islamic value. Wahhabis know that Muslims hate and fear them for their terrorist acts and repressive practices in Saudi Arabia. 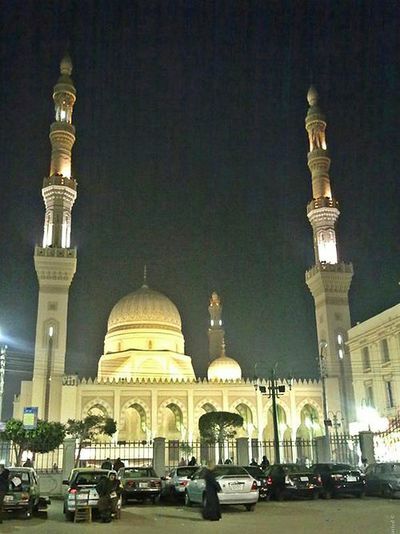 Few Egyptians admire or to desire to live under a Saudi-Wahhabi system. That is why, with the complicity of Western media, the Egyptian Wahhabis have adopted the term "Salafi". But they should not be allowed to pretend that they are conservative imitators of the early Muslim generations when instead their views are radical. There is no mistaking the Wahhabi foundation of the Nour Party's politics. Its male leaders and candidates affect the untrimmed beard cultivated by Wahhabis, in an alleged imitation of Muhammad. They claim to have a single real candidate: Muhammad. In an obvious mimicry of past Saudi-Wahhabi restrictions on women, the Nour Party relegated women candidates (whom Egyptian law required be included) to the bottom of their list to prevent any from being elected. The Nour Party's leader, Yasser Borhami, denounced participation by women in parliament as "corruption." Nour Party representatives in Egypt have said they would reinstitute payment by all non-Muslims of the jizya tax, an obsolete Islamic practice that exists in no other Muslim country. Borhami has also called Egypt's Coptic Christian minority, who make up 10% of the population, "unbelievers." One prominent, if unsuccessful, Nour Party aspirant to office, Abdel Moneim Al-Shahat, referred to the writings of Egypt's Nobel Prize winning author, Naguib Mahfouz, as the "literature of prostitution." Al-Shahat, who appears frequently on television talk shows, appealed for the Pharaonic statues that are a part of Egypt's pre-Islamic cultural legacy to be covered with wax because they had, in the past, been worshipped as idols – the same attitude that impelled the Taliban to destroy the Bamiyan statues of Buddha in Afghanistan. In addition to flattering the Nour Party by referring to it as "Salafi" or "conservative," the media have further softened the image of the Egyptian Wahhabis by labelling them "Puritan." This they are, but while "Puritan" has lost its edge as an item in Western religious history, Islamic Puritanism represents an exaggerated attempt to return to the world as it existed in Muhammad's time. Representatives of the Nour Party are vague when they discuss some of their most basic objectives, which include Shariah ["The Path:" Islamic religious law] as common law; gender segregation of unmarried or unrelated people; enforced full-body covering for women; promotion of "Islamic banking" as a leading economic institution, and a ban on alcohol among non-Muslims. Except for Saudi Arabia, which supports a non-traditional, arbitrary form of Shariah as public law, and enclaves in Africa, Pakistan, and Indonesia, every Muslim country in the world has adopted Western canons of common law, and left the interpretation of Shariah as applicable exclusively to religious matters. Article 2 of the Egyptian Constitution now states that the "principal source of legislation by the state is Islamic jurisprudence (sharia)." This left space for the retention of non-religious law, since Islamic jurisprudence recognizes the validity of non-Islamic common law. A Shariah-state experiment in Sudan failed after the South Sudanese rejected it, and led to the division of the country. The current ruler of Sudan, Omar al-Bashir, has threatened to adopt something like Egypt's law, likewise defining Shariah as a "principal source" of legislation, although his government has not yet done so. The Nour Party would subject Egypt to an experiment in applying religious jurisprudence as the only, rather than the "principal," basis for law. Whether family or inheritance law should follow universal standards, or Shariah guidelines that discriminate against women, is widely argued in the Muslim countries. Morocco, for example, in 2004 adopted a family code that: makes women equal heirs to property; bars marriage of women against their will; allows wives to prohibit their husbands from engaging in polygamy, and to divorce their husbands if they take a second wife; places divorce under secular, rather than religious authority, and makes domestic violence by men a basis for divorce by women. The recent electoral success of a Muslim Brotherhood local branch, the Justice and Development Party, may affect the status of this law, but it is unlikely given that the law is supported by the king, Mohammed VI. From early in Islamic history, Muslim scholars have argued that Shariah was legitimate only in dealing with matters of religion, and that Islamic law could draw on existing, pre-Islamic law and custom. In addition, Muhammad called on Muslims who migrate to non-Muslim lands to accept the laws and customs of the countries to which they move. This pattern – Shariah as appropriate only to aspects of faith – dominated the Islamic world for almost a millennium, ever since the Mongols, who conquered Baghdad in 1258 CE, accepted Islam but refused to abandon their Mongol customary law. The same pattern was seen in the Ottoman Empire, which preserved its Turkish customary law. If the radicals of the Nour Party were to have their way, however, the basic law of Egypt, which is borrowed from French law, would be abolished. Even Saudi Arabia's King Abdullah has eased the influence of extreme Wahhabis in the judiciary of his country. The Saudi monarch has reduced the financing of the infamous morals patrols or mutawiyin – often wrongly called the "morals police," but in reality a body of militia and volunteers. He also opened up opportunities for women to participate in professional and public life, although they are still not allowed to drive a car, travel, open a bank account, or see a doctor without the permission of a male relative or guardian. In reality, in rural areas, driving by women is common but overlooked. The unmentioned factor in the emergence of the Nour Party has to do with its financing: Who provided funds for the organization of a new and expanding political party in Egypt? Before the election, Nour Party representatives discounted concerns by their Egyptian opponents that they were backed by Arabian Gulf states, which for decades had paid for Wahhabi "Salafi" mosques and networks of Islamic charities in Egypt. Kuwait and Qatar have been mentioned as backers of the Nour Party, but solid evidence is scarce. This is not surprising, as the Wahhabi "Salafis" are not known for transparency in their financing; to discover the source of Nour's backing still requires investigation. While the Saudis have been mentioned as a possible backer of the Nour Party, there is not yet any evidence to support that theory. The disconcerting gains of the Nour Party suggest that it has nevertheless benefitted from large financial donations, which might come from outside the country, or from political support from inside the existing Egyptian institutions, rather than because of a pure religious fervour animating a large pool of volunteers. From a different perspective, on December 9, Time magazine quoted an Egyptian as saying, "I think the deal has already been made between the Islamists and SCAF [the Supreme Council of the Armed Forces, the Egyptian military that ousted Hosni Mubarak], and SCAF wants them in power," said Shadi al-Ghazaly Harb, a liberal young politician whose Awareness Party fared poorly. "I think SCAF wants to scare everyone with the Islamists — the Muslim Brotherhood and the Salafis — so that they will push an ex-military figure forward as the next presidential candidate. That will be the true end of the revolution." One aspect of the appeal of the Egyptian Wahhabi "Salafi" movement – observed before, in the history of both the Muslim Brotherhood and radical Islamist groups in South Asia – was noted in the London Financial Times of December 9 by Borzou Daragahi: "Nour's educated and professional supporters and leaders tend to hail from modest backgrounds – recent arrivals to the middle class, perhaps bitter that their education or newfound wealth did not bring them the status that comes with lineage and connections." Wahhabi "Salafi" Islam often reflects frustrated upward mobility and rising expectations, rather than desperation and poverty. The overeducated and underemployed in Egypt and elsewhere have no plan they think can resolve their problems, so they withdraw into an irrational fantasy of Muslim life in the past. This view is not conservative, but radical; it is dangerous for Egypt, for Islam, and for the world.